Greg Jackson is the founder of Heal Charlotte, an organization created in response to the 2016 police shooting of Keith Lamont Scott and the subsequent civilian protests. Through Heal Charlotte, Jackson facilitated protest simulations and empathy workshops with CMPD, and he started the after-school program Dream Academy Youth Camp in his neighborhood Orchard Trace. Recently, as demonstrated in the new Reagan Drive Initiative, Heal Charlotte has taken a placed-based approach to community healing. Worth Advisors spoke with Jackson to discuss these timely topics and more. Responses have been edited for length and clarity. It’s been over two years since the Keith Lamont Scott shooting and the birth of Heal Charlotte. How has Heal Charlotte grown and changed since then? We wanted to be an organization that built trust with the people around town and gave the residents an open dialogue to create change. As we started doing work, we started seeing so many disparities that limited the social capital of urban society. The kids can be with us for three hours at the after-school program, but the other 21 hours of the day they’re in disparity. Now we’re trying to hit every dynamic of the house. We realized that we can’t just do the police program and after-school program, so we changed our mission to say we’re a place-based organization that focuses on neighborhood revitalization with a holistic approach. In previous interviews, you’ve used the term “pro-social activity” to describe the services of Heal Charlotte, specifically the Heal Charlotte Youth Camp. What exactly does that term mean to you? It means productive activities that allow kids to come out of their comfort zones and give them new experiences to be productive later in life. It means giving them those colors so they’re comfortable with all genders, all demographics, opening up their minds to a whole new world. We can all have social activities where we interact, but we’re making these activities intentionally positive. 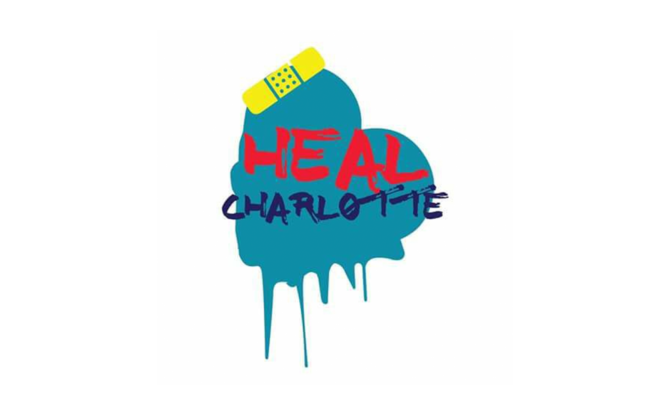 What did the Heal Charlotte Youth Camp look like when it first started and how has it evolved? It looked like me showing up with a basketball in a gym, taking food out of my own pocket and buying hot dogs and regular sandwich meat. I was being consistent for the kids, showing up every day I told them I was going to show up. Then I started doing presentations for other companies like the North Rotary Club and calling on my friends with special talents and using them for things like art, tennis, or basketball. People would say hey, I don’t have an hour, but I have 35 minutes, and we have this saying at Heal Charlotte that if everybody does a little bit, nobody has to do a lot. It turned into a full-fledged program with a lot of my friends just coming together and allocating some time. When it comes to local problems such as violence or a lack of afterschool activities, do you think people should rely on community members or institutions to fix the problem? Do you think a balance can be achieved? There must be a balance. There must be a community member who takes on the role of being a champion, an ambassador who knows the pulse of that community. We need somebody in those neighborhoods who knows what the needs are. You also need someone who knows how to navigate those institutions to get the correct funding and resources. That champion has to have that ability too, so it’s a two-way street. You’ve done a lot of work with CMPD in response to the events that followed the Keith Lamont Scott shooting, such as empathy and de-escalation workshops. Do you think there’s been a culture shift in the CMPD since the shooting and these workshops? There are certain communities that are intentional about having that relationship with the police, so I think things have changed in those communities. In Orchard Trace, we’re very intentional about police coming to our after-school program. We’ve had a 17 percent decrease in crime in Orchard Trace, which speaks to our relationship with CMPD. Has every neighborhood felt that change? No, not at all. There are still neighborhoods that are targeted, still suffering from a wounded relationship CMPD. Those neighborhoods need to get their ambassadors to advocate for what’s happening. Unfortunately, there are a lot of African American neighborhoods that are suffering from a wounded relationship with the police. What are some strategies to facilitate trust between communities (especially communities of color) and police officers? Getting to know the major or lieutenant of your neighborhood police force. I’m from New York where the blue wall is so tall, you’ll never meet the chief of police. That makes me appreciate how short that blue wall is in Charlotte. It means a lot to be able to go into Chief Putney’s office and meet him. It was a different dynamic for me growing up in New York, so I know to take advantage of that. We have some good officers in our police force and some who don’t get the point of community engagement, but for the most part, when you see people do good, good people come around and want to do good too. You and other community leaders recently launched the Reagan Drive Initiative, which focuses on making the Reagan Drive area a better place to live and work. Can you explain how this initiative got started? First, I’m a man of faith. I do a lot of praying and sometimes I am answered by God. I realized that we were being selfish by what we were doing in Orchard Trace. I talked to my property management and said we need to expand this to Reagan Drive. This crime decrease had happened in our neighborhood, so we wanted to bring that to other neighborhoods. These communities deserve to have that. I’m staring at Reagan Drive one day and I watch these kids from my youth camp get dropped off there. And I thought this can’t be right, getting dropped off in a neighborhood with no sidewalks. I did some research on Reagan Drive and I saw it was the number one place for accidents and it’s a bus route. I saw it was also one of the top spots for human trafficking, and it scared me that I have kids getting dropped off there. My property manager and I started talking to people and said hey, we want to start this initiative. We want to provide resources for the residents and do the beautification projects. Sometimes we need to advocate for what is out of sight and out of mind, and that’s what Reagan Drive has become. The Initiative recently hosted its first event, a prayer walk, on March 16. How did that go? It actually wasn’t hosted by the Reagan Drive Initiative. It was hosted by my church— Pastor Theo Schaeffer of Grace Church Charlotte. I called him and said pastor, we can’t do anything on Reagan Drive until the faith community has blessed that road and put the heavenly anointing on Reagan Drive. He organized and mobilized that prayer walk and we had a wonderful time just blessing the streets so we can start the healing process of service. NCDOT called us two days after the prayer walk and we were able to adopt that road. We’re always taking donations and asking for people’s time, talents, or treasure. You can go to healcharlotte.org or follow us on Instagram @myhealcharlotte. *Since April is Financial Literacy Month, next week you can expect to see some financial literacy content from Worth More Weekly— what it means, how to measure yours, and how to encourage its development students and children. Stay tuned!